ARTE.tv the German/French production was shooting documentary about the Macedonian cultural heritage and Haemus took part in it. 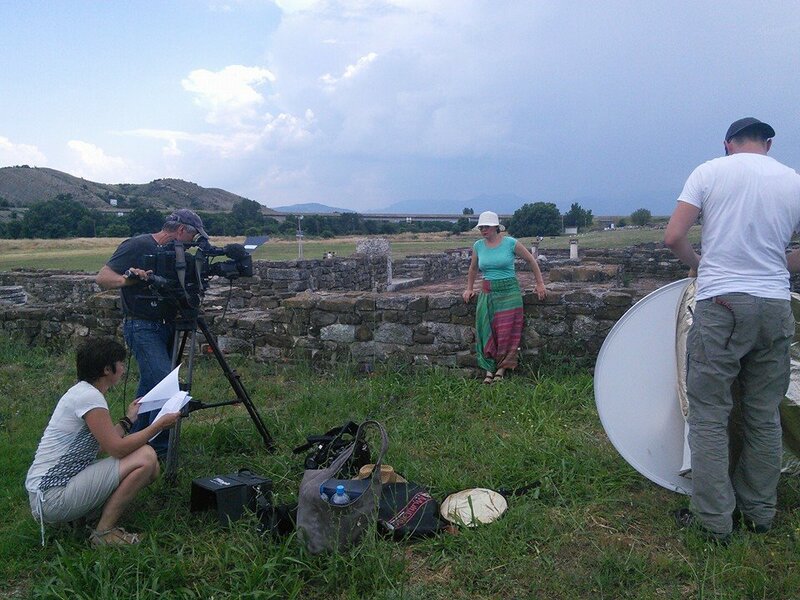 The filming took place on June 11th 2014 at the archaeological site Stobi, which is open air museum open all the year around and National Institution which works at preserving the cultural heritage of the region. Our own Field Archeologist and founder of HAEMUS, Ms Vasilka Dimitrovska MSc was the designated archaeologist and tour guide for the program, something which is part of her everyday work. HAEMUS would like to extend enormous thanks to the Agency for Promotion & Support of Tourism of the Republic of Macedonia for their support and contacts to enable Haemus’s cooperation with ARTE TV. The documentary series about the heritage of all Balkan countries is scheduled for September 2015 and will be aired by ARTE TV.